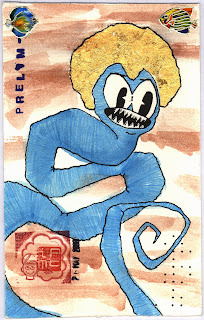 Ian-Patrick's Mailart Postcards: Agave Worm Post: Chris @ .postdue. My good old friend the Tequila worm, this one is either sporting a golden afro or a golden halo. 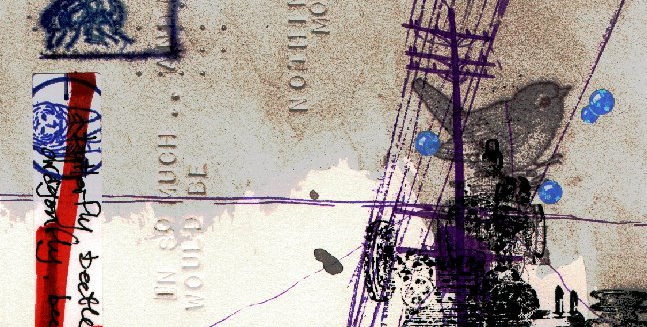 This one sent to the mailart exchange .postdue. dims: 7 3/4" x 5"